This update is for Android Marshmallow 6.0 and later. 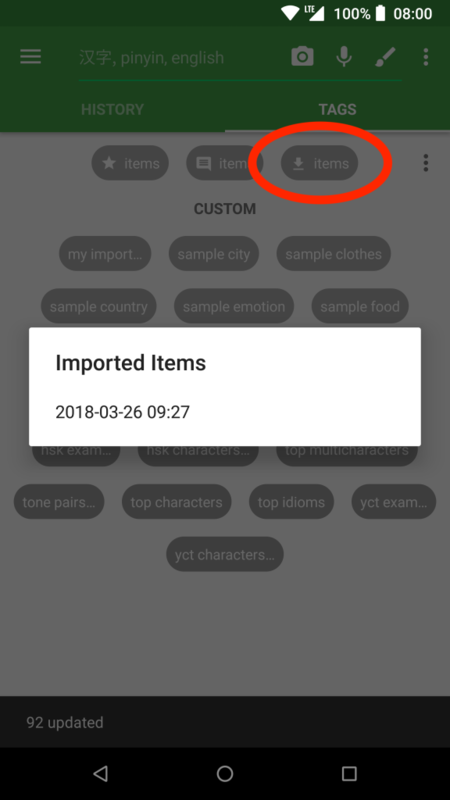 Added Import User Vocab feature to allow bulk import of words into your custom tags. In the Tags tab, click on the 3-dots icon top-right (just below Tags label) and select Import user vocab file. 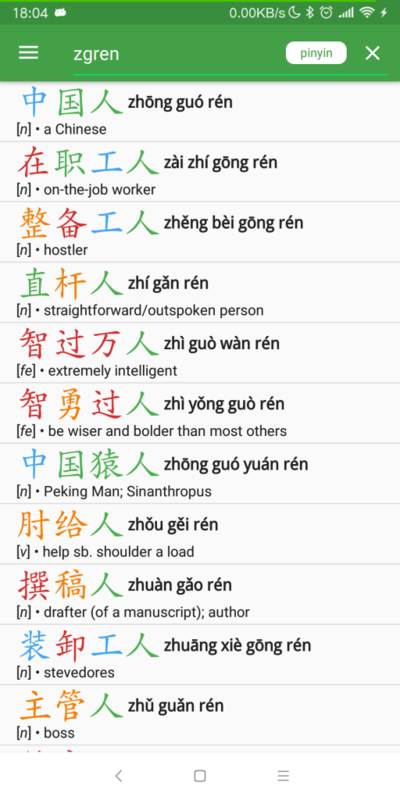 You can then pick any text file and Hanping will automatically extract vocab from it. Note – the text file should contain a vocab list (e.g. one vocab item per line), not freeform text. 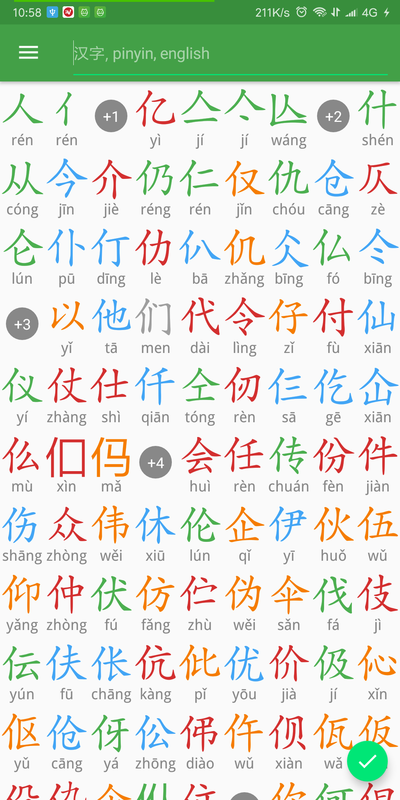 Several different formats are supported (not just the Hanping format). 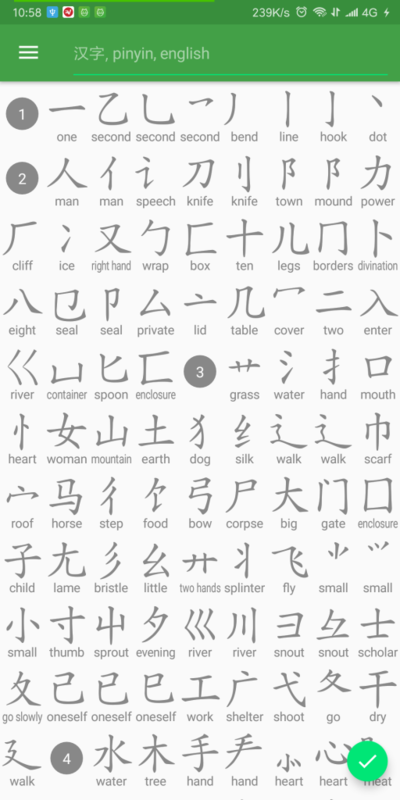 Hanping first gives you a preview of ALL the words it finds before you proceed with the import. 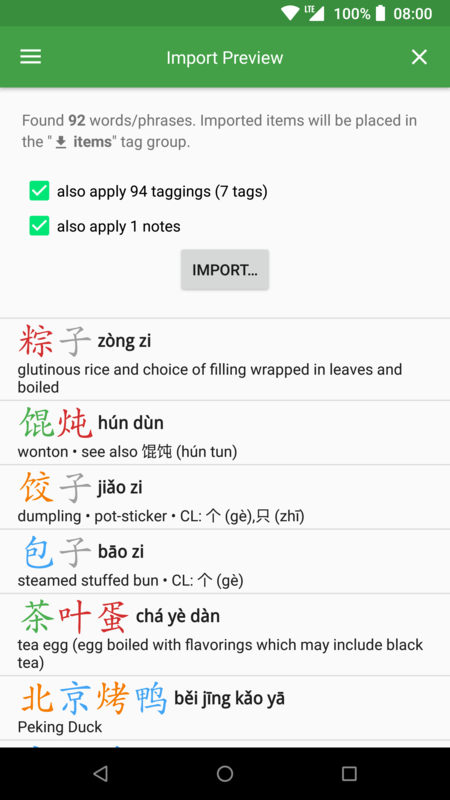 Imported words are auto-tagged like “_imported::2018-03-26 09:27” with the imported tag group displayed next to the starred and notes groups at the top of the Tags tab. New launcher icon (Android Oreo 8.0 and later) – the old-style Hanping icon does not fill well in the new Adaptive Icon style of Android Oreo, so it’s received a total redesign!